CEP's first office was established in Trinidad in 1955 by our founder David Key. 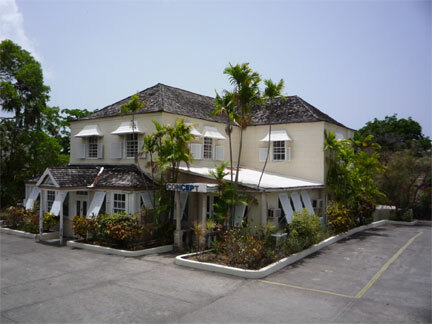 Eight years later, David established an office in Barbados, and it was not long afterwards that Tony Gibbs took over the management of this office until his resignation as a Director at the end of March 1996. Initially the firm was called David Key & Partners, then David Key & Associates, and finally in 1974 the name was changed to Consulting Engineers Partnership Limited (CEP). Our present office shown above, is the result of architecturally designed renovations applied to a colonial style building which is over 100 years old. From its origins in 1963, the Barbados operation has grown, developed and matured into one of the leading firms offering a comprehensive range of specialist engineering consulting services to clients. In the first 50 years of existence, the company has successfully completed over 2,500 jobs throughout the Caribbean, and won numerous awards. From time to time, depending mainly on the quantity and location of significant and on-going projects, CEP offices operated for limited time periods in Guyana (1967, 1974), Antigua (1975), St Vincent (1980), and St Kitts & Nevis (1982). At present, CEP has active offices which operate in Barbados, Trinidad, Grenada (est. 1969) and Dominica (est. 1971). As consulting engineers we provide professional engineering services to architects, governments, international development agencies (including WB, IDB, CIDA, EDF, DID, and CDB), owners and private developers. Our level of repeat business is very high (70% - 80%)as many clients have entrusted us with all of their projects over the years. This is a confirmation of the strong working relationships we foster with clients. We are continually seeking to improve our performance in order to improve our service to our clients.